Injured on a Forestry or Logging Job Site? Logging and forestry work continues to top the list of most dangerous jobs in America. More workers are hurt while working on logging sites than any other work site. With the use of heavy equipment, chainsaws, and the momentum of falling or rolling trees, logging accidents can cause serious injuries or even death. There are numerous safety standards and regulations that companies are required to follow when running an active logging site. If these regulations are ignored or neglected, then serious accidents can injure or fatally wound loggers. Sometimes logging sites are shared between companies, including transportation of logs, workers cutting down trees, and more. If you're injured by the negligence of another company, you could have a claim to third party liability, which differs drastically from Workers' Compensation. Prior to logging operations, checking for loose bark, limbs, or other dangers. Assign work areas so no tree can fall into another occupied work area. All loggers should be trained to evaluate each situation for snow, ice accumulation, lean of tree, wind, dead limbs, and location of other trees. Must provide workers with appropriate protection, including hand, leg, head, eye, and face protection. Each job site should be surveyed and analyzed before each day's work. Periodic safety inspections must be conducted to ensure worker safety. For more information regarding OSHA standards for forestry and logging job sites, visit their Logging Webpage. Many hazardous factors exist on a logging site and can result in the unthinkable: the death of a loved one. If your family was affected by a fatal logging accident, we can help you understand your legal rights. We'll help you fight for what's right after this terrible accident. For more information regarding a tragic loss from a job site accident, visit our Wrongful Death webpage. 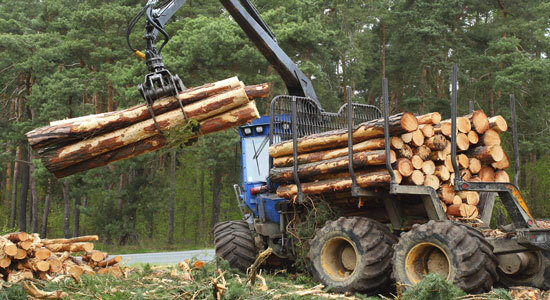 If you've been injured after a logging accident, our legal team can help. Whether you need assistance with workers' compensation or you've suffered from third party negligence, we'll fight to get you every cent you deserve after an accident. Contact us at 1-866-943-3427 or simply complete the form located in the top right corner of this page. If you'd like to speak with a representative immediately, click the chat box in the bottom right. We're always standing by, ready to help you get the answers – and legal help – you need.